There are many people in the world starving to make money to live a healthy life. While few thinks about starting a business to boost their income, it becomes impossible for several reasons with money being the main reason. Without any investment, it is hard to start a business and even if started there is no guarantee that it's going to do well. For people who have a plan to start a business with no to little investment online business is the best option. The internet is open to everyone and hard worker will be appreciated & rewarded for sure. Hard workers never failed to succeed especially in online business. 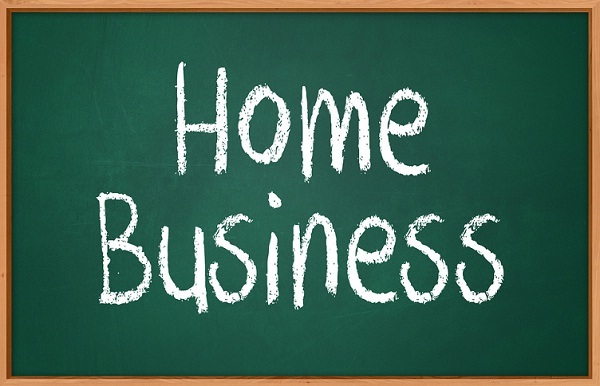 This article will help you to start a successful online business from home. Selling digital products and services have become one of the most profitable businesses on the internet. Since the commercial release of 3G connectivity, the number of the internet users are going on increasing at a devastating rate. So, it has now become easier for almost everyone in the world to connect to the internet which is the ultimate reason for the growth of online business from home. Companies especially small business are in search of freelance services which are very cheaper and at the same time equally best compared to brands. You can become an online seller to make money. Clients are available for tons of categories including Digital marketing, Graphics & design, search engine marketing, content writing, Animation, video & image editing, advertising, accounting, programming, information technology, web development, designer, CA, business consulting and much more. There are two ways to become an online seller. In method one, you can sell your services in pay per project basis to the clients directly at a fixed price per project. The best marketplace to sell services directly is Fiverr. On Fiverr, the clients have chances to purchase your service if it is unique and interesting. The second method to become an online seller is by selling yourself as an hourly, daily or monthly contract basis worker. Clients will pay you minimum of $3 every hour for working for them in part time. Upwork is the best place to find the contract based freelance jobs. To become an online seller, you must have the ability to work as an individual with some business skills to attract clients. Online selling business can generate high revenue even if done only on weekends as a part-time work, all you need is proper planning and strategy. Every client will expect quality and timeliness. Missing anyone of these will reduce your user rating and eventually kill the business. To become the online seller, you must join anyone of these sites or both. After joining the site, you must start the work to become the seller. In the case of upwork you must complete your profile 100% and try to link portfolio to make it even better. Then you must browse the jobs available in the preferred category to apply. After finding the right job, submit your proposal to get hired. Freelancers with the best portfolio and user rating will have higher chances get hired. Fiverr is completely different from Upwork. In Fiverr, we have to create a gig in order to sell. A gig the place where the seller displays his service information and appears almost like the Facebook profile page. You must add a cover photo that should tell what the service will be about at a glance and replacing it with an explainer video would be even better. Clients and companies who are interested in your service will place an order. You must complete it on time in order to get paid. The earnings will depend on the number of orders you get. Suppose if a seller sells Simple animation project for $5 which can be completed in 15 - 30 minutes. By working 8 hours the seller can earn up to $300 a day depending on the number of orders he receives. It might take few months before you can get orders regularly. Becoming top seller or level 2 seller will increase your sales exponentially. Blogging is one among the few safest online businesses to generate passive income. Compared to online selling, blogging is very reliable and can generate long-term income but the problem is it will take several months to a year to see the results provided great job must have been done already. Once the blog receives enough traffic, it will become a dollar generating machine and it will run for the lifetime with little maintenance. A blogger has chances to earn money in different ways and the most commonly used technique is CPC advertising. While the cost per click, advertising is considered as the basic advertising method, sale marketing is the advanced monetization technique which will generate money several times higher than the cost per click advertising but requires intense branding. Sale marketing is used by experienced bloggers with branded blogs. You should start with CPC advertising network like Google AdSense and try to create branding in order to enter sale marketing. While the normal blogger struggles to generate even one sale per month, the pro bloggers give more sale with the same traffic. Because people trust their blog and about the product they recommend. To start a blog, the first thing you need to do is choose a niche. Make use of expert's advice to choose the profitable niche. After choosing the category it’s time to buy a domain name and host your website. Websites can be hosted for free on blogger, Tumblr, and many web 2.0 properties but I recommend you to start a self-hosted WordPress website instead of going with the free platform as their features are not good as WordPress. Start to write unique content and continue the same for about a month or two. In meantime concentrate on search engine optimization which plays an important role for the blog to improve its ranking on search engines and it is the main source to drive organic traffic. Once your blog gets enough traffic, monetize it to make money. Continue to grow your blog in order to create a brand. Your blog will generate passive income once it starts growing. These are the two best online businesses you can start from home, that will really help to boost your income.